This week’s mailbox was good for me, and I definitely seem to be on something of a roll with the psychological thrillers right now. The three books themselves arrived from two different publishers, whilst as ever, I need to thank the lovely folks at NetGalley for facilitating the downloads for them all! The best way to catch a killer? Offer yourself as bait. Becky Morgan’s family were the victims of the ‘crimes of the decade’. The lone survivor of a ritualistic killing, Becky’s been forever haunted by the memories of that night. Twenty years later, with the killer never found, Becky is ready to hunt them down and exact revenge. 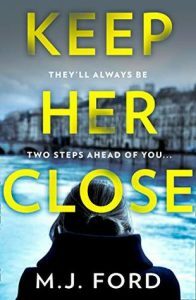 But the path to find the murderer is a slippery slope and she finds herself opening up some old wounds that should have been left sealed. Will Becky avenge her family or join them? The charred remains of a child are discovered – a child no one seems to have missed…. It’s high summer, and the lakes are in the midst of an unrelenting heatwave. Uncontrollable fell fires are breaking out across the moors faster than they can be extinguished. When firefighters uncover the body of a dead child at the heart of the latest blaze, Detective Chief Inspector Jude Satterthwaite’s arson investigation turns to one of murder. Temperatures – and tension – in the village are rising, and with the body count rising Jude and his team race against the clock to catch the killer before it’s too late…. The first in the gripping, Lake District set, DCI Jude Satterthwaite series. It’s six months since DS Josie Masters saved her nephew from the clutches of the killer clown, but she’s still haunted by that terrible night. The Thames Valley police force, however, regard Jo as a hero – much to the jealousy of some of her colleagues. When a young girl goes missing from Jesus College, Jo is assigned to the case, along with new recruit, the handsome DS Pryce. The city of Oxford goes into turmoil when two more girls disappear from Oriel and Somerville, and Josie soon realises that the killer is spelling out her own initials in a deadly game of cat and mouse. This time, the case is personal – but who is the perpetrator? Mailbox Monday is a gathering place for readers to share links to the books that came into their house during the last week. This is a great way to plan out your reading week and see what others are currently reading as well, after all you never know where that next “must read” book will come from. All look good, Yvonne. Enjoy! 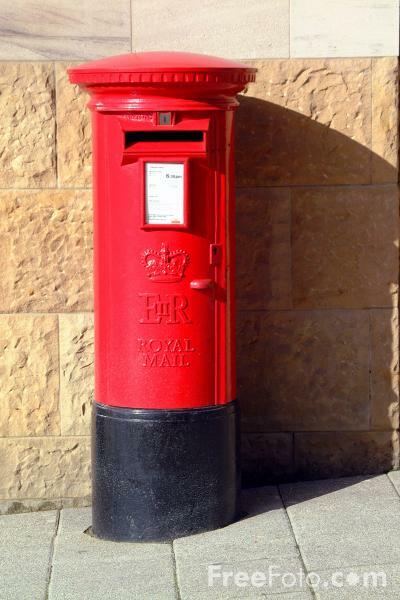 I am guessing that my mailbox this week, is a bit too much of a thriller overload for you, so I am even more grateful that you made time to stop by, check out the post and leave your comment – I really appreciate it! All three sound good, Yvonne, but I think I’m most drawn to Death By Dark Waters. Although the cover on the first book is my favorite, but plot line is very much like that of the Alexandra Sokoloff “Huntress” series I read awhile back. Still… that was a good story and this one might have a different twist to it. I’m certainly open to hearing more about all of these! I did take a quick look at the premises for the Sokoloff books and I can see where you are coming from in you likening their storylines to that of ‘The Family’, the cover of which I also quite like. I have never got around to reading ‘The Huntress’ series, although I very much wanted to, so I shall bow to your personal knowledge of the similarities. ‘Death By Dark Waters’ does sound particularly good, with author Jo Allen setting her new series in a physical environment she knows very well (The Lake District), and characterizing her protagonist DCI Jude Satterthwaite very much in his northern background, right down to an authentic name, although many might disagree and simply call it stereotyping. Either way I am looking forward to reading them all. Death by Dark Waters catches my attention too. Enjoy. When there is a choice of Mailbox Monday new books to share, there is always one book which seems to come out on top in the comments ratings, and it looks as though this week that honour is going to ‘Death By Dark Waters’. I like that this is going to be the first in a new detective series and I am pleased to be getting in on the action right from the beginning. All three look like good ones. I’ll be interested in your thoughts and recommendations. Happy Reading! 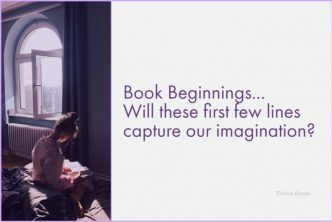 I am always so wary about recommending books, as reading a book and for that matter, writing a review, is always so very subjective and personal to the individual taste of the reader. All of my books this week sound so very good and I am only pleased that publisher review dates have dictated the order in which I need to read them, as I couldn’t make my own mind up and choose between them! They all sound like great books. Enjoy! Just about every book I have up for review or promotion right now, is a murder/mystery, or psychological thriller. I had actually been thinking about maybe having my blog specialize in one particular genre of book, but now that the opportune time might have arrived to put a plan in motion, I find that I shall almost certainly miss the diversity and pleasure of reading from several different genres, so I need to re-think. This trio definitely looks good together, doesn’t it? 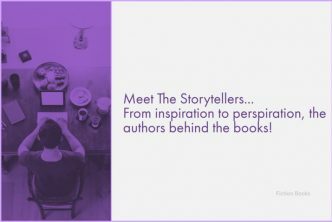 I am due to be taking part in upcoming Blog Tours for both ‘The Family’ and ‘Death By Dark Waters’, so sharing that additional content might help us decide, although like yourself, I really like the sound of them all! 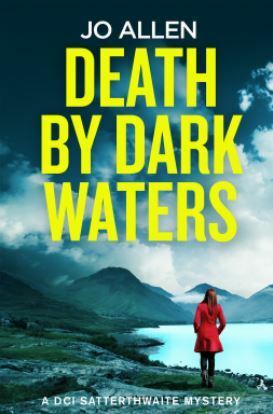 ‘Death By Dark Waters’ may have it for me by a whisker, as it is chance to get in at the start of what is set to become a new series for Detective Chief Inspector Jude Satterthwaite. I also like that author Jo Allen has given her new protagonist an authentic ‘northern’ name, which further adds credence to the storyline. All of those books sound like they’ll keep you turning the pages quickly. 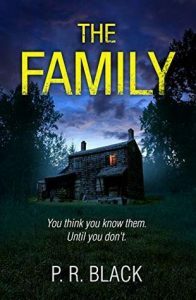 The Premise of The Family intrigues me – I don’t think I’d be brave enough to offer myself as bait. Have a great week, Yvonne! 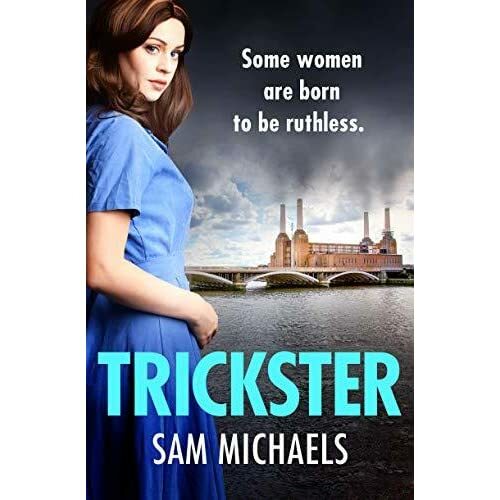 It does sound as though Becky is on her own with this problem, no sign of a detective or the police to help her out, which makes it rather an original proposition for the reader, at a time when the market is virtually flooded with books and authors in the genre. That doesn’t make me any less eager to read the others of course, as they all have many positive and unique attributes, which make them a must read for me! All of these sounds fabulous. They are right up my alley. Enjoy! I can’t pick a favourite from amongst this selection either – I can’t even separate the cover art, let alone the premises, although I do know about M.J. Ford’s previous book! Hardly a scientific approach to separating a great sounding trio of thrillers – reading them all is the only option – poor me! I like the new look of your blog, Yvonne. Good job with it. All three books look very good. Love the cover on THE FAMILY. Thanks for the kind words about the new look here at FB. I am still not entirely happy with everything, but until I get to spend some quality time with my techie (AKA hubbie), then I’m not too sure about any further tweaks we might be able to make! The cover of ‘The Family’ is certainly as dark and brooding as its premise and is a little unique in today’s crowded thriller marketplace, where it must be quite difficult to come up with something totally original. Those all sound intense. Enjoy! Any storyline which involves something bad happening to children always evokes more emotion than usual, so as all three of this week’s offerings definitely count as intense! 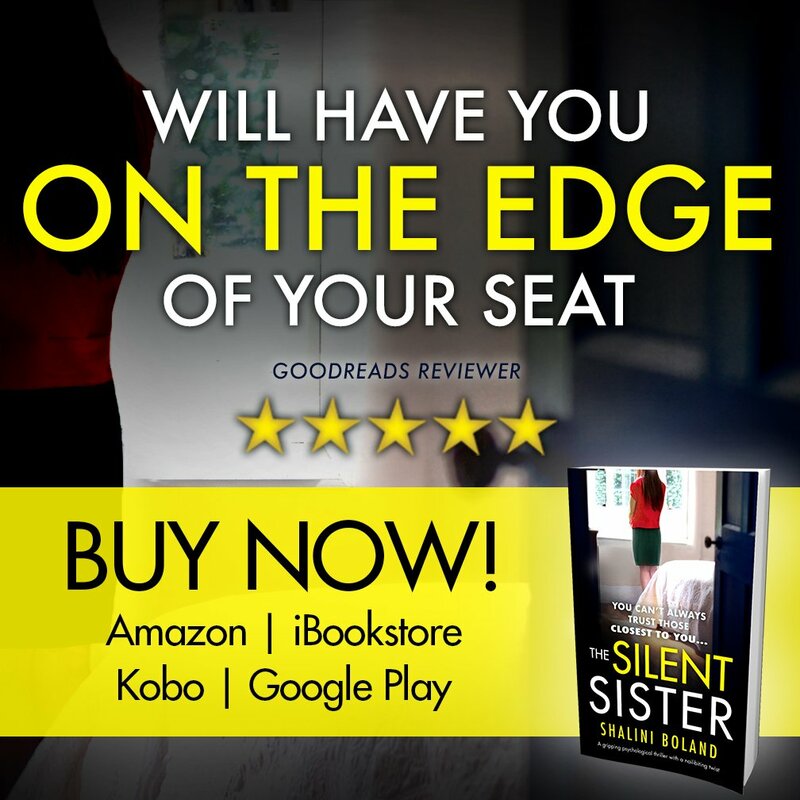 Judging by the copious amounts of email I am currently receiving from the three main publicists and publishers I work with on a regular basis, there are plenty more psychological thrillers and murder mysteries where these came from – Bring on the good times! I do hope that the short holiday from Blogland was simply one of choice, rather than of necessity! I seem to have been inundated with thrillers and murder mystery books these last few weeks, but some of them do sound like juicy, page-turning stories, so all is good in my reading world, although a few (lot 🙂 ) more hours in the day would be good!